The innovative new care village on the Stirling Community Hospital site which recently started on site will provide various integrated health and social care services for the Stirling community, transforming the way services are delivered by bringing a wide range of health, social care, training and GP services together in one location. 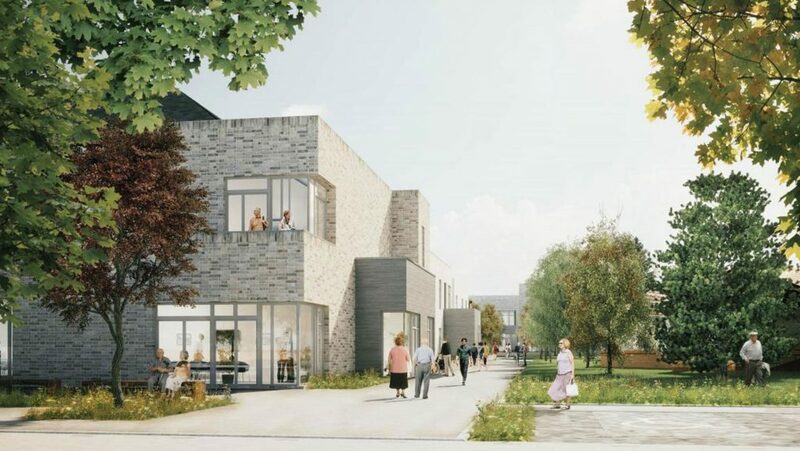 Woolgar Hunter are providing Civil and Structural Engineering services on this new £30 million joint development undertaken by NHS Forth Valley and Stirling Council through the hub East Central Scotland framework. The engineering works involve extensive site work which are being led by our Building Civils team working closely with their Structural Engineering colleagues to provide new car parking, access roads and landscaping along with an integrated SuDS drainage systems. There are three new buildings on the site; the Primary Care Building, the Core Hub and the Ambulance Workshop, these are a combination of steel and timber framed structures designed to provide an efficient and appropriate response to the brief and JM architects’ vision.